Chandigarh: Satinder Singh councilor , Rambir Bhatti,Vice president BJP, Brij Kumar welcomed the decision of the government to repatriate Mohd. Shayin to his parent cadre. The Chandigarh residents had been the sufferers due to the acts and misdeeds of Mohd. Shayin. It was the persistent demand of the residents of Chandigarh to remove him from the city. 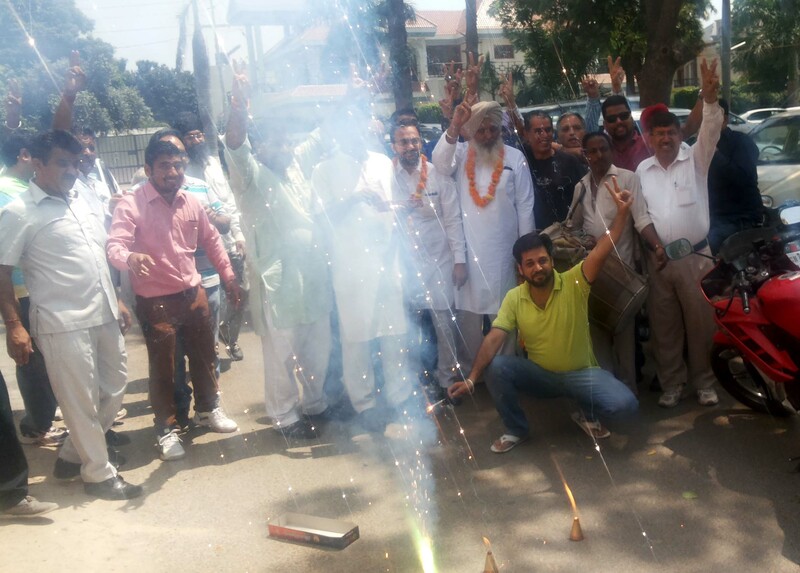 Satinder Singh demanded that the important decisions taken by Mohd. Shyain during his tenure in Chandigarh should be got investigated through an independent agency. The order of repatriation of Mohd. Shayin was celebrated at Satinder Singh’s residence by distributing sweets and with Dhol Dhamaka and by busting crackers.OM parkash Sharma , Jony Kumar,Harjinder Singh,Ravinder Rawar,Mahesh Chugh, Rajender Sharma,Surender Bharadwaj, Jaspal Singh,Sushil Jain etc were also present.